The DuoSIM-5G tests the function and performance of gNodeBs (gNB) and eNodeBs (eNB) to help network operators and equipment vendors create and develop 5G radio access networks. It is the latest model in Artiza Networks’ award-winning DuoSIM line of base station testers, which have led the industry through the adoption of LTE, LTE-A, and LTE-A Pro. The DuoSIM-5G test platform is adaptable and readily scalable to deliver first-to-market solutions based on 3GPP 5G New Radio (NR) standards. The DuoSIM-5G supports combined testing of LTE/LTE-A and 5G networks. 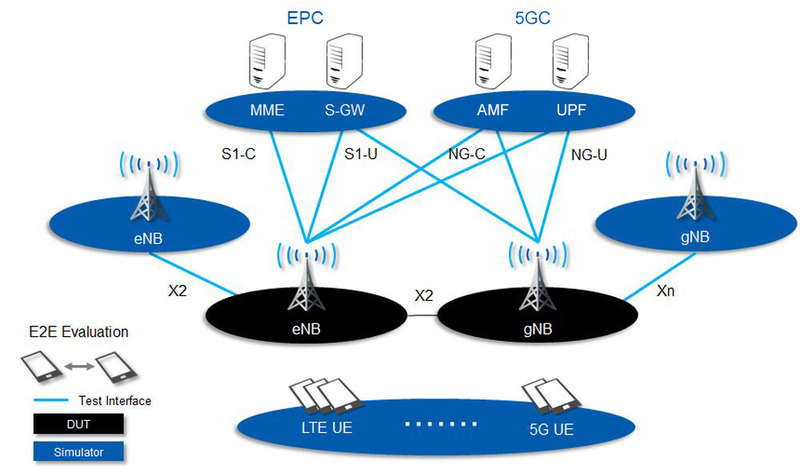 In line with 3GPP’s releases of Non-standalone (NSA) and Standalone (SA) 5G NR specifications, the DuoSIM-5G simulates thousands of UEs across multiple LTE and 5G cells, generating diverse traffic and thousands of calls per second. DuoSIM users develop and operate the world’s most advanced mobile communication networks. From early-stage functional testing to high-capacity performance testing, the DuoSIM-5G stays ahead of expectations with cutting-edge features and full support for all LTE bands as well as sub-6 Ghz and mmWave (above 24 GHz) spectrum for 5G. With end-to-end evaluation of 5G NR radio access, the DuoSIM-5G can support use cases at all stages of base station development and integration. Handovers, Carrier Aggregation, burst calls, etc.